Lock in a great price for Motel Cle O Spa Inn - rated 8.9 by recent guests. I called ahead because I needed a fridge and a microwave in my room. They made sure I got a room with a fridge in it and also placed a microwave in the room for me. This was much appreciated! Beautiful theme rooms. It is like a mini vacation during a long drive. Convenient location. Rooms are themed (we were in the Paris room) which is spacious and warm. Good stop-over for our holiday in Eastern Canada. I liked the city theme for each room. I liked the front office decoration and staff. The parking is very wide and the view around is great. Very quiet area not too much traffic. Highly recommended. Very affordable. hostess helpful in getting to a great restaurant. well-maintained. Reserved the room, had a two minute check in. An old facility but nicely done. Very clean, quiet, good value, good size room, no hassle checkout (leave key at front desk), Set back from a quiet street. No problem to stay again. The motel was close to the highway, clean and convenient to things in town. The desk people were helpful and polite. We found the beds too firm and were not very well rested come morning. Also the Motel is a spa and the smell from the spa coming in was very strong. Staff very pleasant and the room was clean and very bright and large. The shades made the place very dark when pulled down. Very restful night. I liked the quaintness of the Property. It was more like a country inn. 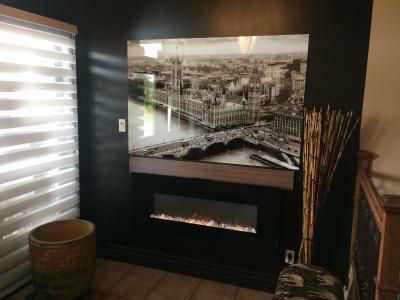 One of our bestsellers in Edmundston! 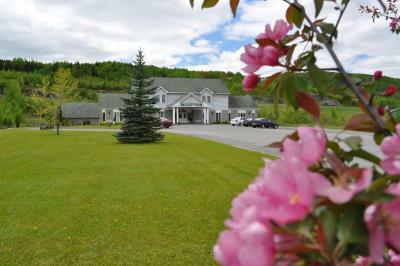 This Motel in New Brunswick is 2.5 miles from Fraser Edmundston Golf Club. Each room is uniquely themed and includes cable TV and free WiFi. 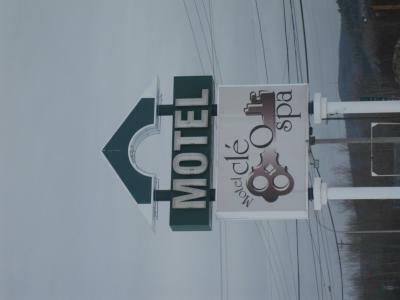 Mont Farlagne ski hill is 2.5 miles from Edmundston Motel Cle O Spa Inn. New Brunswick Botanical Garden is 3.1 miles away. 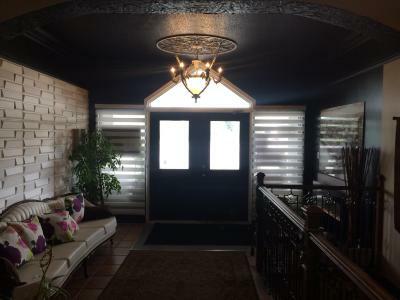 Motel Cle O Spa Inn has been welcoming Booking.com guests since 2 Feb 2012. 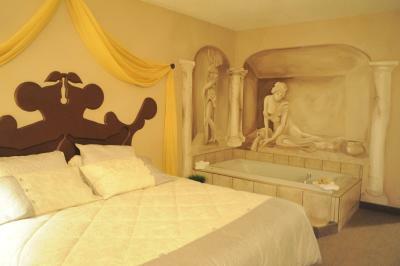 When would you like to stay at Motel Cle O Spa Inn? 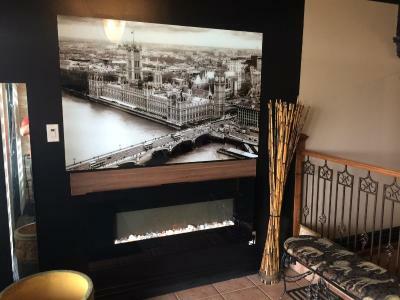 This room is uniquely themed and includes cable TV. 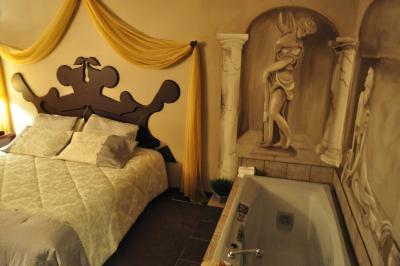 This uniquely themed room features Roman decor and a 2-person spa bath. House rules Motel Cle O Spa Inn takes special requests - add in the next step! One child under 12 years is charged CAD 5 per night when using existing beds. All children under 12 years are charged CAD 5 per night for extra beds. Motel Cle O Spa Inn accepts these cards and reserves the right to temporarily hold an amount prior to arrival. WiFi was spotty. Parking lot was very icy at the end of March. Room very comfortable, large and stylish. The staff was extremely helpful in finding a restaurant. 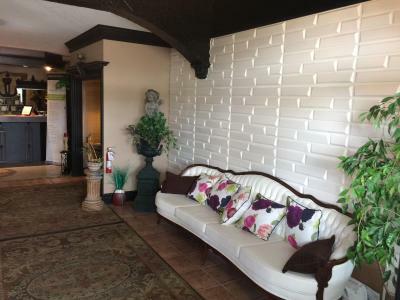 Close to the highway, room so large, great decor! Possible danger in that the tub is deeper than your average tub and getting out can be tricky. There is also no real bath mat. Quiet location. Good internet. Firm bed. Very clean. Liked that the floors were wooden unlike the usual stained carpet. Beds bit hard for myself, but that could be just personal preference. A little more flexibility with check out. A knock on the door 5 min after check out time was unexpected. No on site food but no problem, just a couple of minutes to downtown. Had an excellent breakfast at Oullett family restaurant close by on the way back to the highway.